This 3-Series DigitalMedia Presentation System provides totally integrated signal routing and presentation control for a solution perfect for videoconferencing rooms, lecture halls, boardrooms, and classrooms. 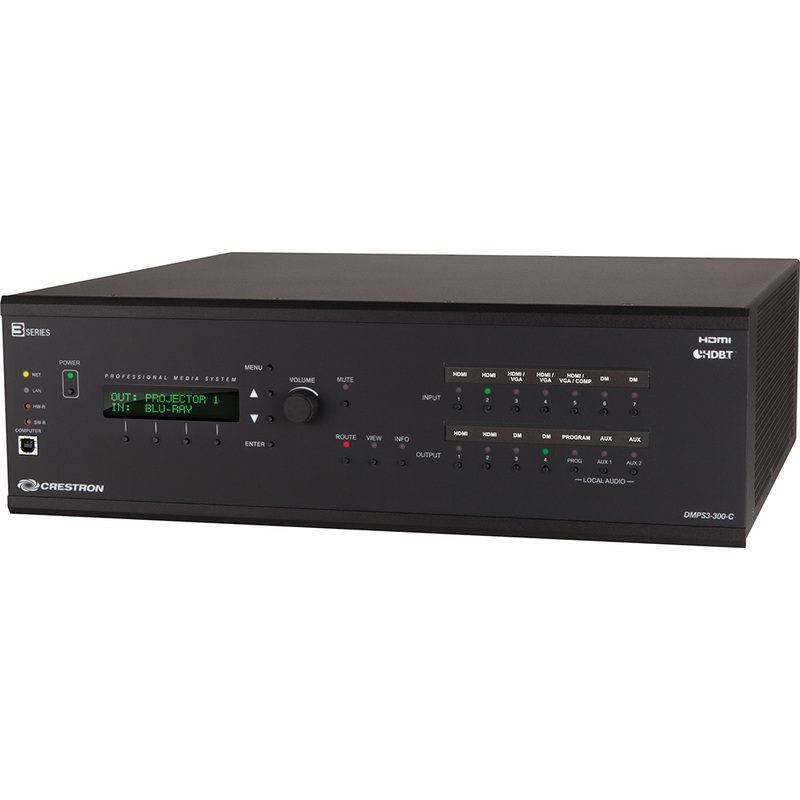 In a single 3-space rack mount package, this solution integrates the control system, multimedia matrix switcher, mic mixer, audio DSP, amplifier, and DigitalMedia distribution center. Crestron ensures an easy and efficient experience with preloaded DMPS3.AV Framework software to facilitate control and customized configuration – all without the need for programming.